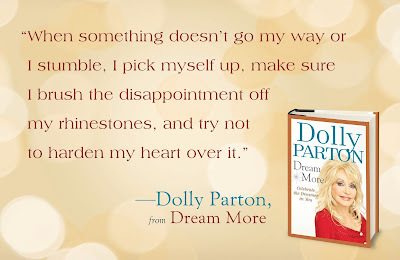 Based on the hugely popular commencement speech Dolly Parton gave at the University of Tennessee that became a sensation, Dream More is a deeper and richer exploration of the personal philosophy she has forged over the course of her astonishing career as a singer, songwriter, performer, and philanthropist. *All proceeds will benefit Dolly Parton's Imagination Library. Dolly Parton Has Done It Again! 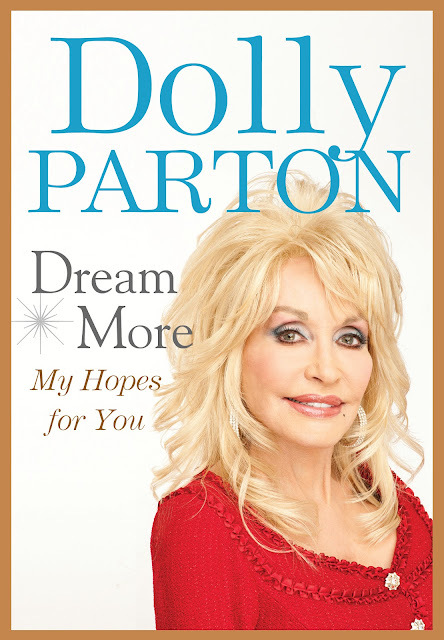 November 27, 2012, will mark the release of Dolly's new book "Dream More" which will be available for sale here in the Imagination Library "Dolly Shop". The book is based on an inspirational commencement speech Dolly delivered at the University of Tennessee in 2009. If you’re lucky, your dreams will never die, you may not always achieve them, but if you always have dreams and reach for them, you’ll never be a failure. I still have dreams of what I want to do next. The most amazing part of this story is the fact that once again, just as she did with her top selling cookbook "Dolly's Dixie Fixin's", all proceeds from "Dream More" will benefit her Imagination Library program which has mailed more than 45 million free books to children in the United States, Canada and the United Kingdom since it launched in 1996. *All scheduled appearances and interviews listed are subject to change without notice. For a complete list and updates as they happen, follow us on Facebook. Dream More will be available for sale in the official donations and merchandise area of Dolly Parton's Imagination Library located here, beginning November 27th at 12:00AM Eastern. Quantities will initially be limited. All orders received will be processed for immediate shipping during normal business hours while quantities last. In other news, Dolly's Dixie Stampede dinner and show attractions in Pigeon Forge, TN and Branson, MO and her Pirates Voyage dinner and show attraction in Myrtle Beach, SC, presented a check this week (Monday, November 19, 2012) for more than $267,000.